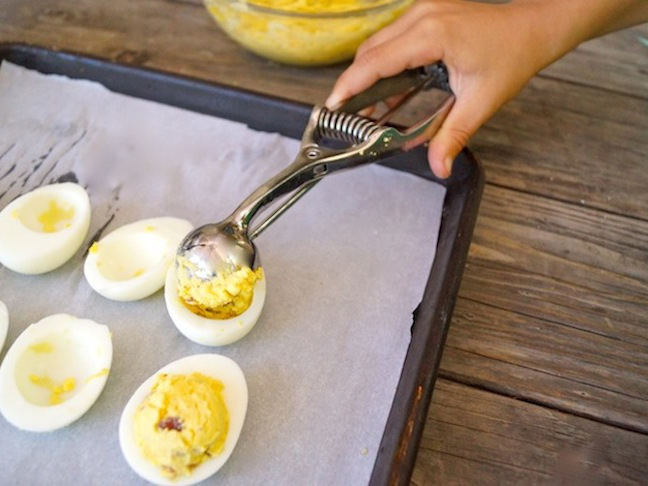 When I asked my nine-year-old son if he wanted to make deviled eggs, he said yes—BUT he wanted to know if we could make up his own deviled eggs recipe. 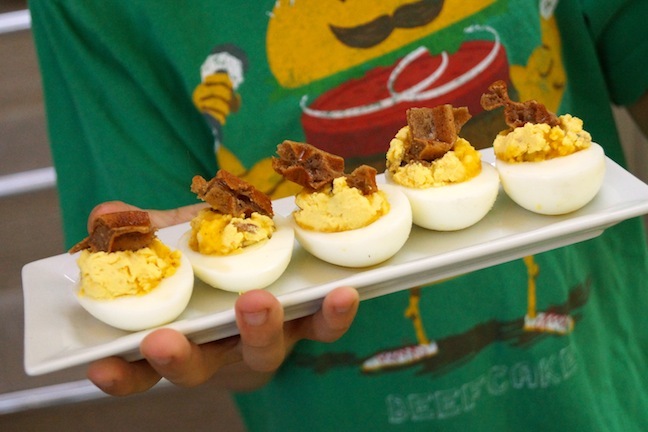 He envisioned them “breakfast style,” adding bacon, waffles, and syrup. Who am I to say no to such an awesomely brilliant culinary idea!? 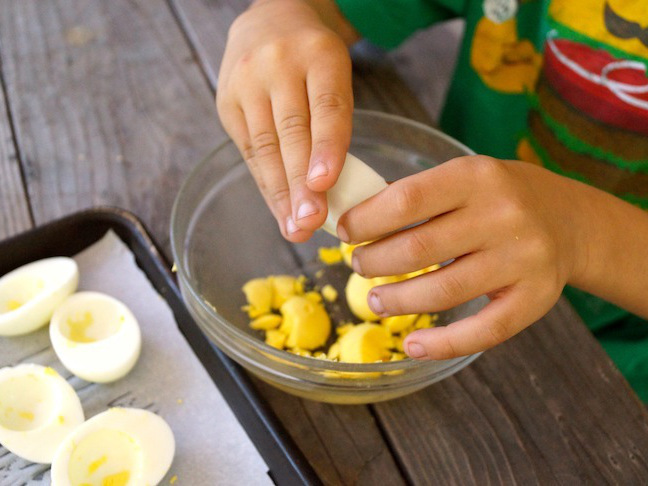 Ask your kids what type of deviled eggs they’d invent, and see what creative and delicious ideas they come up with! Then, get them in kitchen to help. 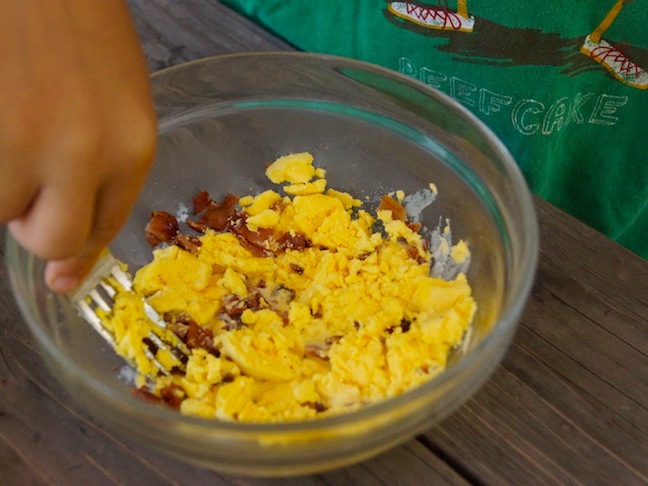 This tasty stroke of culinary genius was my kid's own invention---what will your kids come up with? 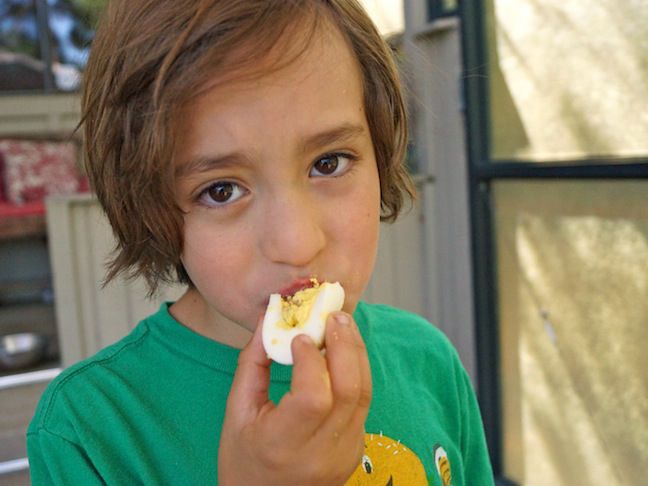 Step 1: On a clean, dry surface, carefully slice the eggs in half lengthwise. 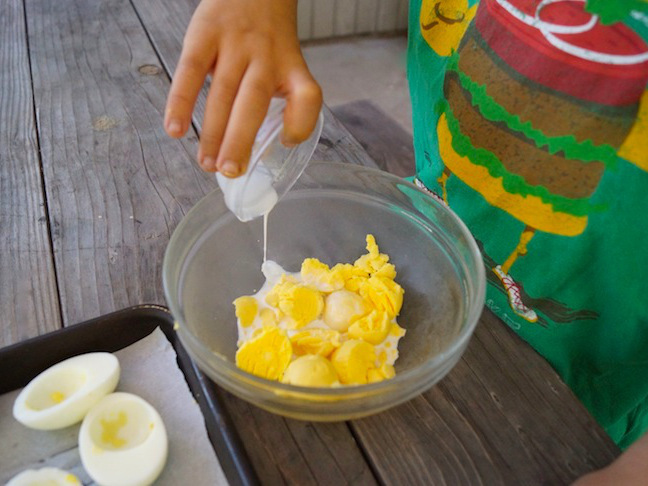 Very gently remove the yolks from each egg half and add them to a small mixing bowl. Step 2: Place the empty egg white halves on a serving platter, round side down. If they slice around too much, you can very gently slice a sliver off of the bottom to make a base---being sure not to cut through to the opening! Step 3: Add the half and half to the egg yolks. 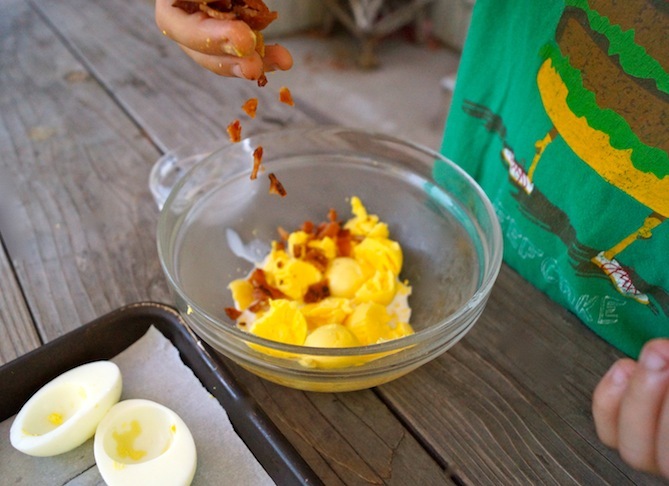 Step 4: Add about 1 teaspoon of the maple syrup and the bacon to the yolks. Step 5: Use a fork to mix and season to taste with salt. Step 6: With two teaspoons or a tiny cookie scoop (about 1 inch), equally divide yolk mixture into the openings of the egg white halves. Step 7: Warm the waffle, cut it into a dozen small pieces (triangles are cute), and gently stick one into the yolk mixture of each egg half. Step 8: Drizzle with the remaining maple syrup and serve! 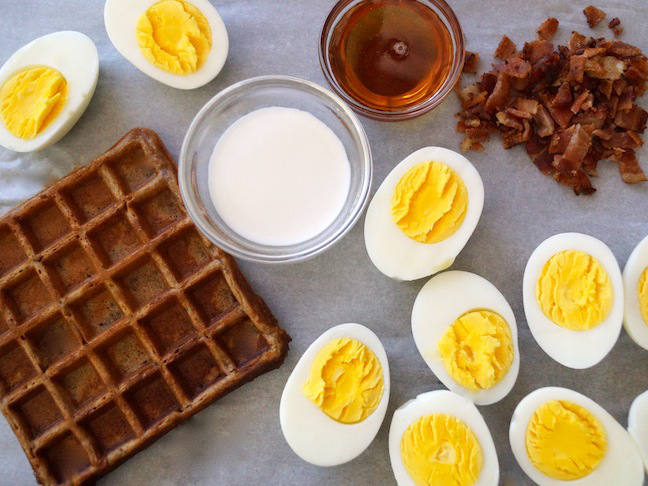 Notes: Please note that the prep time is based on the eggs, bacon, and waffle being pre-cooked.